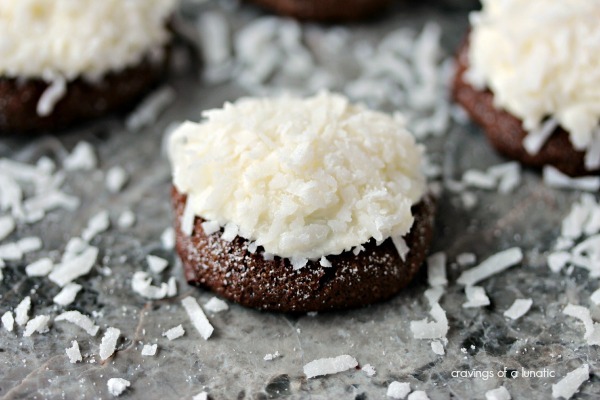 Chocolate coconut cookies filled with fluffy coconut cream cheese, and coconut garnish. Simple to make and utterly delicious to munch on. I am a total chocolate fanatic. 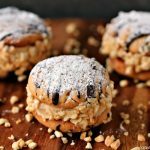 These Chocolate Coconut Cookies are a recipe I made for Food Fanatic. I am their resident Chocolate Fanatic. It’s a pretty cool gig. Not going to lie. I just love my job. Every. Single. Day. It just so happens I’m also a coconut fanatic. So I decided to combine the two things. It’s the perfect cookie. Chocolate cookies topped with a sweet, fluffy cream cheese frosting. It’s pure chocolate and coconut heaven. What I love about these cookies is how festive they are. There is just something about coconut this time of the year that just screams holidays. I think it’s that the coconut looks so much like snow. So naturally it puts you in the Christmas spirit. We could all use a little more cheer at this time of the year. I find as the holiday gets closer people get crankier, and crankier. Just go to any store to pick up something essential and look around at all the grumpy people out shopping. The holidays do not always bring out the best in people. When I run into people like that I just want to hand them a cookie, or some fudge. Something to cheer them up, and get their mood perked up. Some folks are just moody because they hate to shop. But keep in mind that’s not always the case this time of the year. So this is a little friendly reminder to be tolerant this time of the year. Why? Because there’s a lot of folks out there missing loved ones this time of the year. I speak from personal experience. I lost my Mom when I was a teenager, and each year I spend a lot of time thinking about her. Missing her. Wishing she was here. The next time you see someone who isn’t happy remember that. Maybe they are missing someone too. They may have someone close to them who has passed away, they may have someone they love in the military and unable to come home for the holidays. Or maybe they are struggling financially and the holidays are causing them stress. Be just a little nicer, even to those you think may not deserve it. Those are usually the ones who need it the most! I also would love to encourage folks to donate things to retirement homes, or the sick kids hospital. You could change someone’s whole life with a little act of kindness. To me that’s what Christmas is all about. Giving more of your heart than your wallet. I hope everyone has the best holiday season ever. No matter what you call it the bottom line is it’s a time to reflect on what’s important in life. To me that’s family. My son is here from Calgary right now and I am loving having both my kids under one roof for a couple of weeks. It’s the best gift I could ever get. You can also find this recipe for these Chocolate Coconut Cookies over at Food Fanatic. I’m a monthly contributor over there. I’m one of their Chocolate Fanatics. I love being part of the Food Fanatic family. They are such a great group of people. 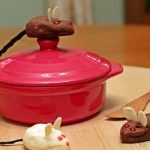 I have some great recipes coming up soon on their site so be sure to follow Food Fanatic closely to see what myself, and other contributors are cooking up for you. You can also find my recipe for Chocolate Tacos on their site, as well as a fabulous recipe for Marble Bark with Pistachios. 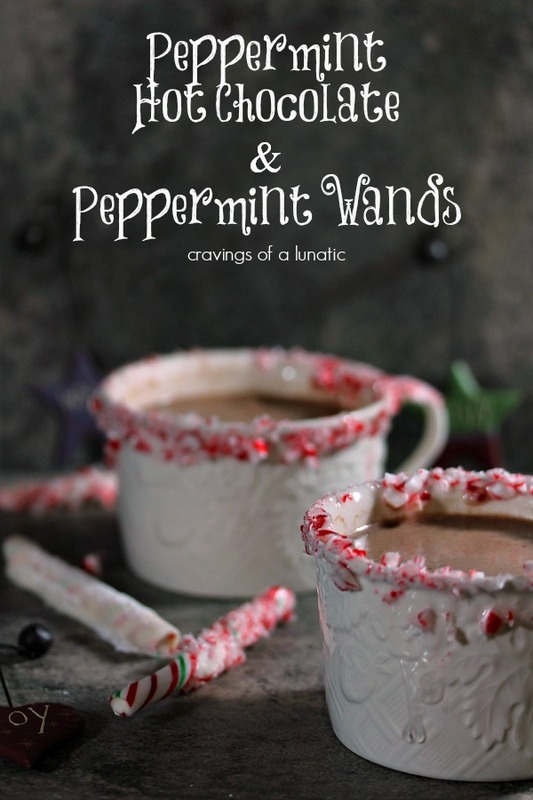 Both would be perfect for the holidays. I hope you are enjoying every minute of your holiday season. Spend as much time with people you love as you can. Be in the moment. Life life to the fullest. You’ll never regret it. One of the best ways to make memories is to cook with people you care about. I love cooking and baking with my hooligans for the holidays. You’re not just making cookies, you’re making memories. Soak up every minute. Chocolate and coconut are two of my favorite things. These cookies look fabulous. oooooh jeaaaalous of you getting to be the chocolate fanatic!! 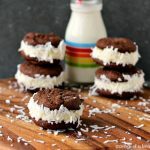 These cookies look so fudgy and the coconut is the perfect addition! It’s so much fun. Any excuse to play with chocolate right. This is coconut week for my daughter, I think I will make these today. I’m a lover of chocolate and peanut butter and butter and coconut and homemade whipped cream and on and on the list goes! These look so pretty! You are so cute and cheery! I think passing out cookies like these would turn any grumpy persons day around! holy yum! loving that cream cheese frosting! I really wish I could reach through the screen and grab one, OK three! 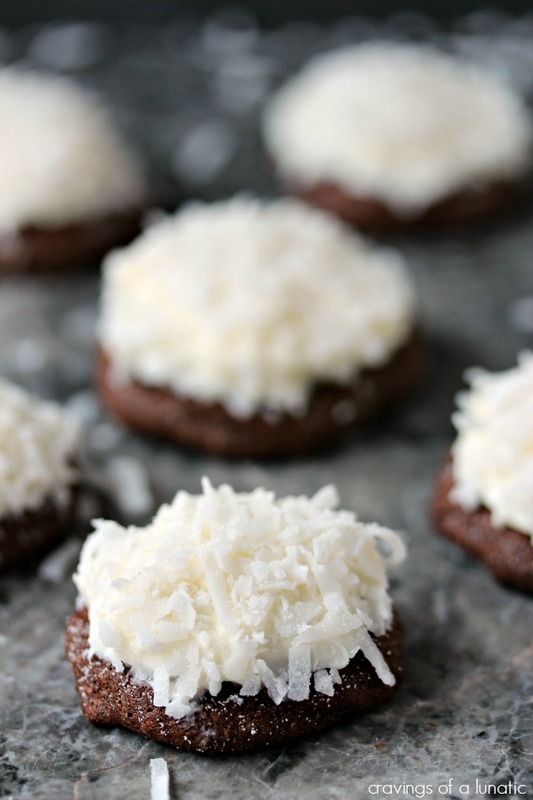 Chocolate and coconut is my absolute favorite cookie combination. 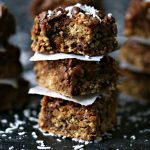 What a fabulous combination chocolate and coconut make – then again, chocolate and almost anything is fabulous. But especially coconut. These are almost a coconut cheesecake on top of a chocolate cookie. Only “improvement” I’d make is to add a chocolate chip on top – just kidding, but …. 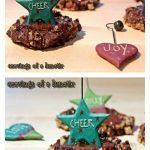 Chocolate is my love language 😉 These cookies look seriously amazing, Kim! These cookies are just too inviting! I adore frosting and love the way everything looks piled on top! Whenever my kids come across a particularly grumpy person in their lives (teacher, etc. ), we talk about how that person could have some tough things in their life that’s making them grumpy. A little compassion definitely goes a long way in this world, and I love that you’re encouraging people to do good deeds. 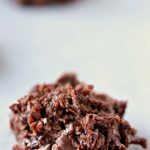 As for these cookies, they are the perfect combination of chocolate and coconut, two of my favorites. Thanks so much. It is so true. When I took care of my dad for the year he had cancer we discovered an old album my dad had. He kept everything, notes, cards, you name it. We read letters my grandfather wrote to my dad during the war. My dad was in charge while he was away. My grandfather tortured my dad in these letters, blaming him for everything from an old dog dying to why the family had nothing. It was heart-wrenching to read them. But afterwards it was like I finally got my dad for the first time in my life, like really understood why he became who he was, and the man was grumpy like crazy. It was so eye opening. There’s always a reason why people are the way they are, usually it comes from pain. I’m so grateful I finally got to break through all his walls, it was such a roller coaster ride but so worth it in the end. I now never judge a book by its cover. That experience changed my whole life. I’m so much more at ease in the world, grumpy people will not ruin my day, but I hope I make theirs a little brighter. 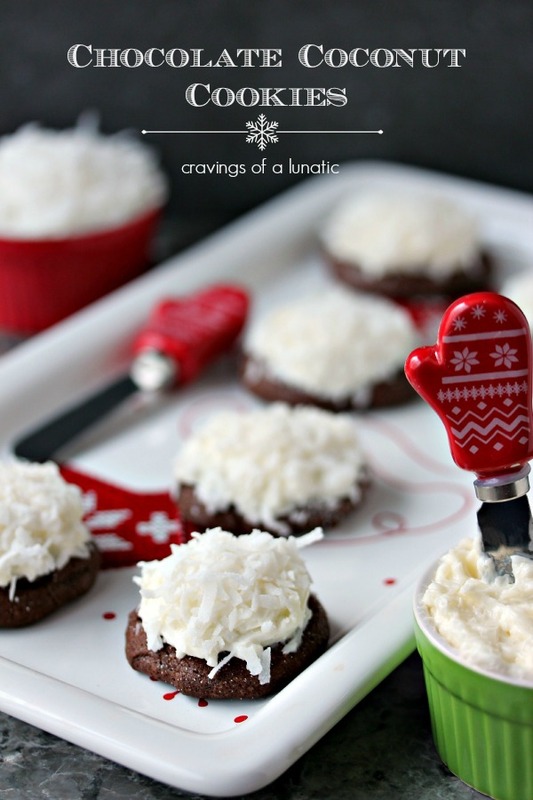 Chocolate and coconut go together so well all year ’round!! Can I talk about those mitten knives for a second? The cutest!! Yep…that’s a great job! I’m thinking of coloring that coconut green and having these for St. Patrick’s day! I love chocolate and coconut together! I especially love the coconut flakes on top! I bet that gives it a great texture! I love all that snowy white coconut! I always seem to crave coconut desserts for Easter (well, those and lemon), so it’s perfect timing that I’m reading this now. I loooove anything with coconut and these look loaded. A winner in my books! 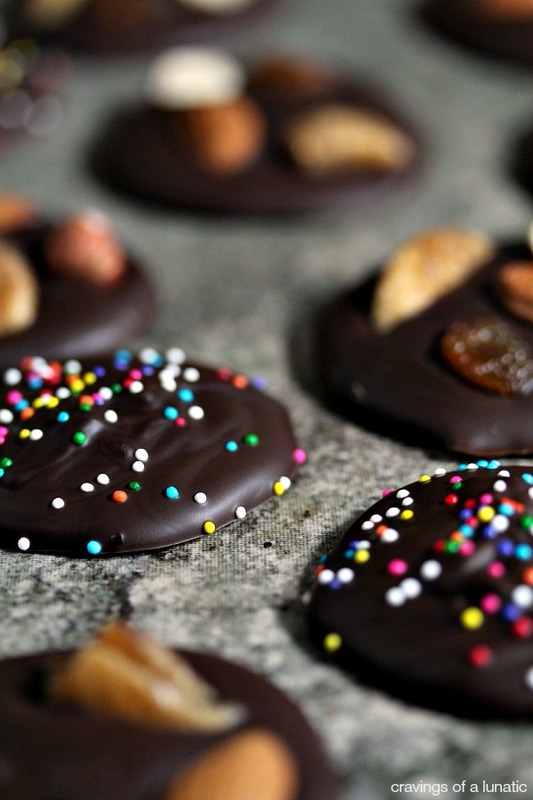 I am a total chocolate and coconut lover too so thanks for this cookie recipe. Also, thanks for the reminder to be kind to others who are feeling a bit grumpy. I do think you’re right that you never know what someone is going through. I do encourage my kids often to keep that in mind, especially when a teacher is not so nice that day. But I also do think that some people are just not that nice, period, and could use one of your festive cookies either way!! Love coconut cookies!!! My mood definitely changes when there is chocolate involved! These look great! You are definitely onto something here. 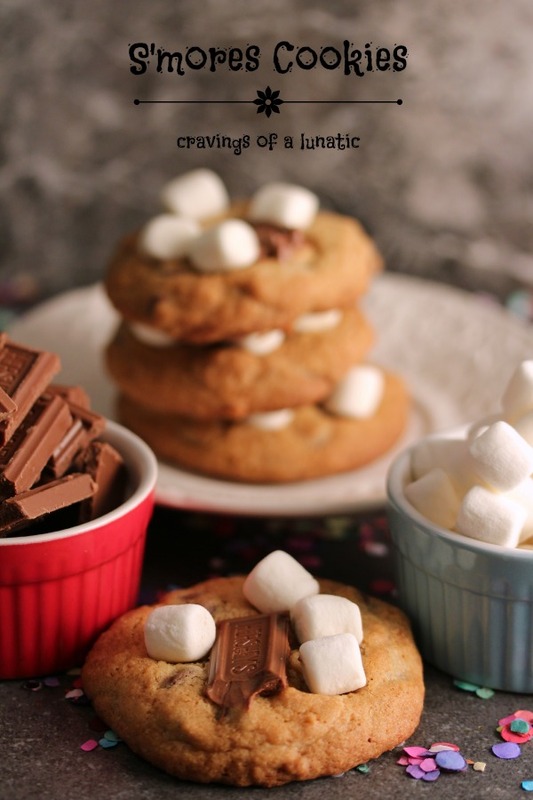 We joke in our family that whenever we run across a particularly grumpy person we say, “They probably just need a cookie.” That cloud of coconut atop the chocolate cookie looks super dreamy! You make me smile daily. How could you not bring joy to anyone you meet with one of those in hand? Your photos are so beautiful! I agree – these cookies are so festive! Also, some of my most precious memories are from cooking together – we’re totally on the same page! Thanks for letting me include your recipe in my round-up on Taste As You Go!